scroll down to See What's On! Located in the heart of Blackpool Town, The Regent Cinema invites you to come and enjoy a movie experience like no other! Originally opening it doors in 1921, The Regent Cinema boasted 1092 seats and a retractable roof. It proved to be a popular cinema for decades before it was used for bingo during the week in 1969. However, on the 29th July 2016, The Regent Cinema re-opened as an independent cinema, showing classic films across all ages. 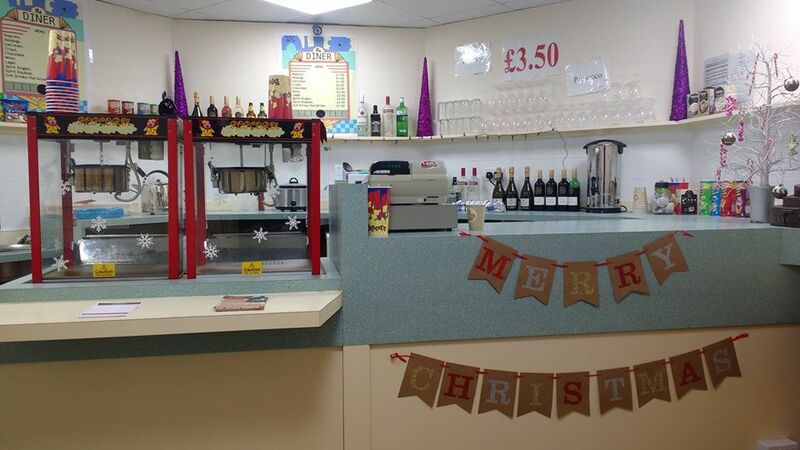 We have a fully licensed diner serving a wide selection of snacks and alcoholic drinks with lagers, glasses of wine and single spirits all costing just £2.50. 'Shongram' (struggle) is a romantic drama set during the 1971 Bangladesh genocide and liberation struggle. A daring reporter (Asia Argento) interviews a Bangladeshi Londoner 'Karim' (Anupam Kher) on his deathbed in London who finally shares his account four decades later. We are transported to a scenic Bangladesh of 1971, where a young Karim and Asha fall in love in the most testing of times. This becomes a complicated relationship, as Karim is a Muslim boy and Asha is a Hindu girl - that is just one aspect which provides a rollercoaster journey for the two protagonists. Karim is soon forced to go underground and join a small band of freedom fighters. He must play his role for the cause before he can finally search for the love of his life. The film starts and finishes in English and the flashback period is in Bangla and Urdu with English subtitles. M'Lynn (Sally Field) is the mother of bride-to-be Shelby Eatenton (Julia Roberts), and as friend Truvy Jones (Dolly Parton) fixes the women's hair for the ceremony, they welcome a helping hand from aspiring beautician Annelle Dupuy Desoto (Daryl Hannah). Diabetic Shelby has a health scare, which is averted but doesn't bode well for her hopes of having children. Time passes, and the women and their friends encounter tragedy and good fortune, growing stronger and closer in the process. Advertise on the big screen for less than £1.00 per day! Are you feeling lucky? Come on down to The Regent Cinema and join us for a night of BINGO with a Blackpool Twist! Hosted by the fabulous Mr Vicky La Plume, bingo at The Regent is a night of fun, food and frocks for you all to enjoy! The Regent Cinema offers a fully licensed bar, as well as lots of snacks to relish in, including hot dogs, popcorn and chocolate. And lets not forget, cash prizes are available to be won, so don't miss your opportunity! The Regent Cinema now offers you the chance to buy vouchers, which will entitle you to 1 x Cinema entry, to any film at the price of the voucher! Pick up your voucher today, the perfect gift for special occasions. Terms and conditions apply, vouchers can only be be used to enter showings at the same price of the voucher. Vouchers cannot be used for food or drink. Standard ticket vouchers validate entry to Bingo. Once selecting 'add to cart', please complete the form with your shipping address details for the voucher(s) to be dispatched too.